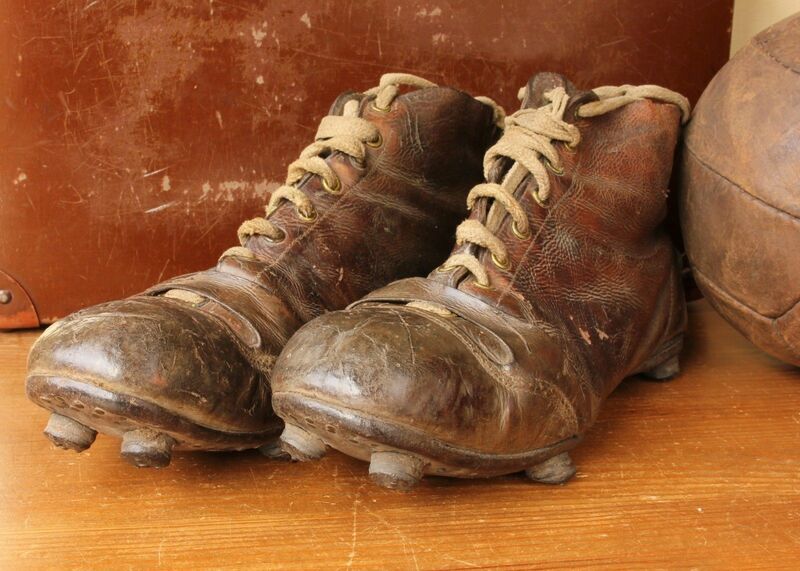 Brown Leather Football Boots. Uruguay 1930 World Cup. 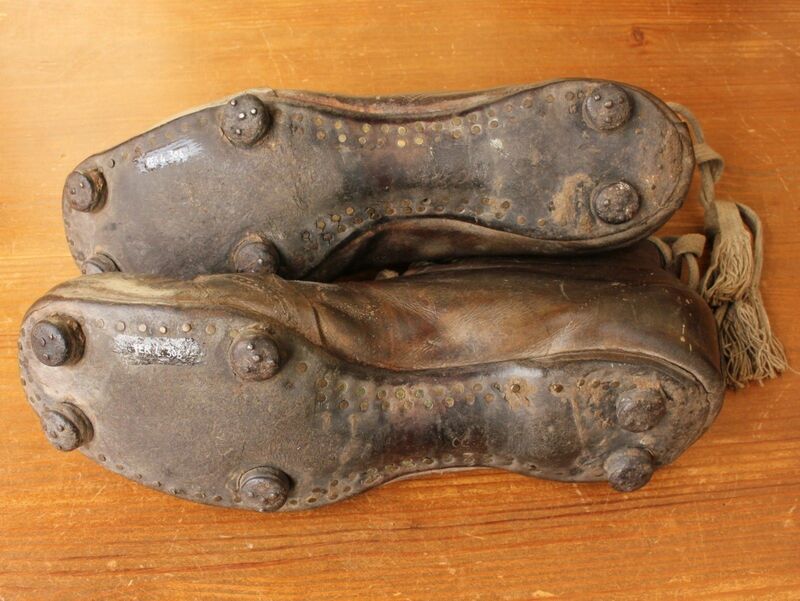 This interesting pair of antique football boots which date from the 1920s / 30s are the same type as the boots worn by Uruguay and that were used in the 1930 World Cup. 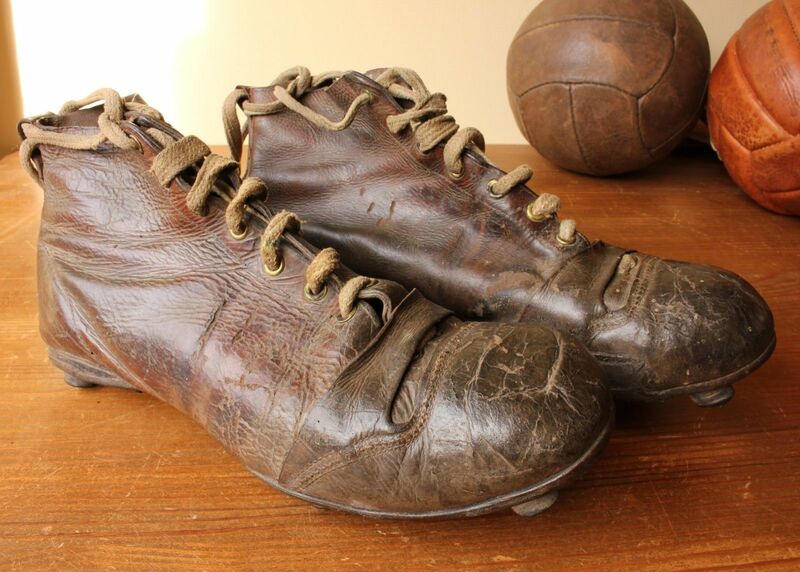 A pair of very similar boots are in the National Football Museum. 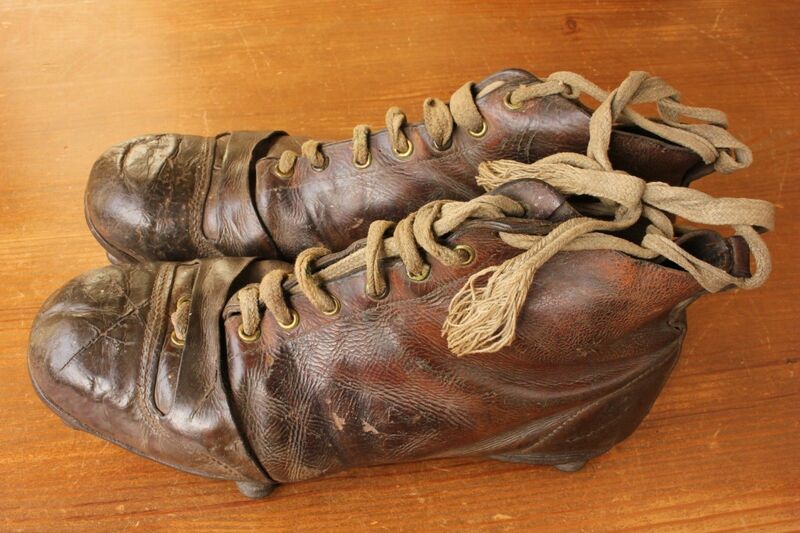 There is a code on the bottom of the boots as they were once catalogued for display at a museum. 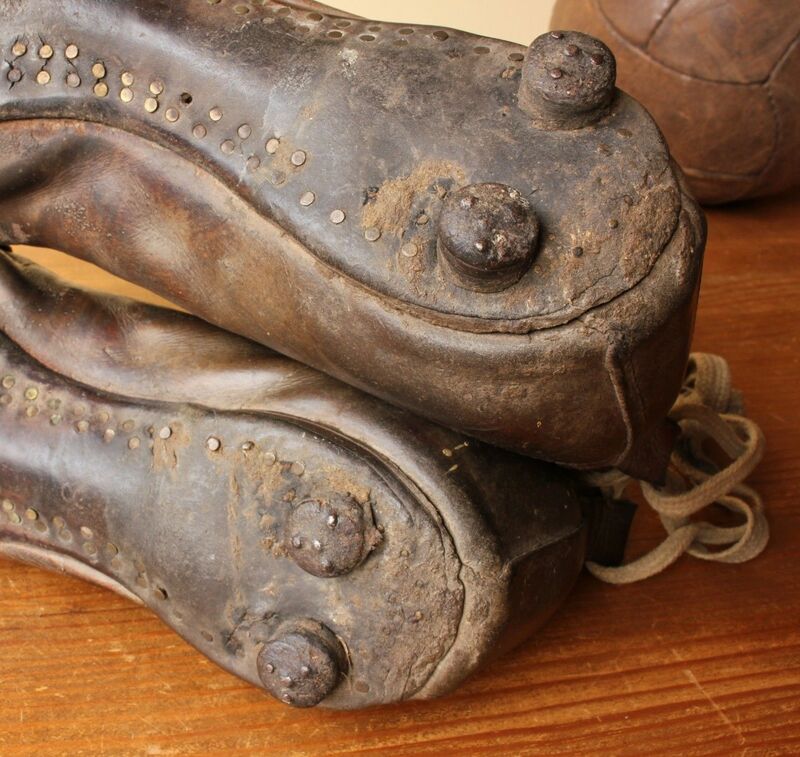 These original vintage boots are made of brown leather, leather soles, nailed on studs and would make a great addition to a football boot collection. Length: 29 cm / 11 1/2" approx. Condition: Well used vintage condition. 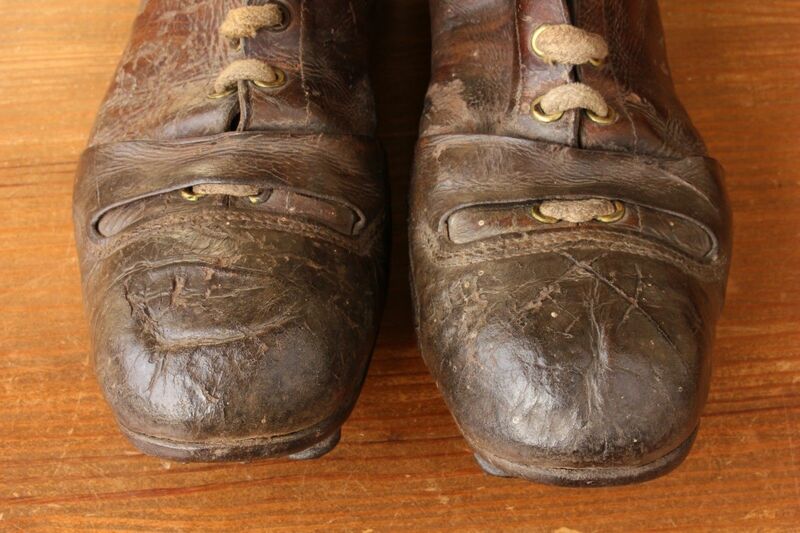 These boots have seen lots of action with scuffs, scrapes, marks, dirt and small repairs. Some mud on studs and dirty laces. Please see pictures.